Redis is an in memory key value store developed to be scale-able from ground up. Redis enables this through client side sharding as well as server side master/slave replication. 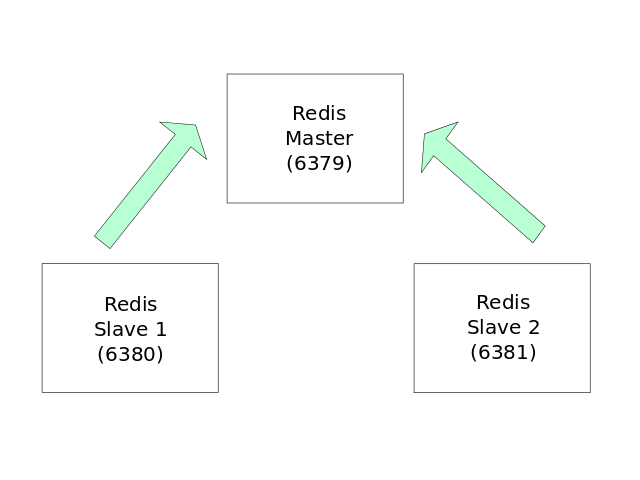 In this post I am going to explain a Simple 1 Master 2 Slave Server Replication Setup for Redis in a Single Host. This can be easily moved to multiple Hosts if and when the need arises with very minor changes. For this you must have downloaded redis and compiled it. If you haven't done that please follow my previous post. The setup I am going to create looks like the above figure, where there is a Redis master listening on port 6379 and 2 Redis slaves connecting to the Master and will be listening on ports 6380 and 6381 respectively. You need to follow the below steps to create 2 different configuration files for the slaves. 8. Repeat the steps 5 - 7 with "redis-slave2.conf" but this time the port must be 6381, dbfilename becomes "slave2-dump.rdb" and slaveof configuration remains the same. 10. Now you can issue a "./src/redis-cli" and can connect to the master or any slave by providing the "./src/redis-cli -p <Slave Port>"
The recommended setup is that All writes are done to Master and All reads are performed on Slaves. As you can see you just need to change the "127.0.0.1" host ip in your Slaves' slaveof command if you want to move this replication setup to multiple hosts. Redis, an in-memory key value data store. It comes under the category of NoSQL or Non Relational Database where storing, manipulating and retrieving of data in Redis doesn't require and use any SQL or Relations (Tables). Relational Databases look at solving real world domain representation inside computers using a Relation/Table. A Relation/Table is a Set where the following properties are guaranteed. Every Cell contains one atomic value. Every Row is uniquely identifiable. Order of the columns has no significance. Order of the rows has no significance. On top of this there is a language called Structured Query Language which is a standardized way of Retrieving, Manipulating of data in those Relation/Table. With the growth of high volume websites such as Twitter, Facebook and the emergence of IAAS (Infrastructure As A Service) solutions such as Amazon AWS, which uses distributed data centers around the globe, the need for NoSQL databases are ever so high! This is because issuing of a single SQL which covers data in across multiple data centers in different countries is not possible. Furthermore relational databases depends a lot on JOINs and distributed data centers pose a problem to this also. Redis, on the other hand doesn't use SQL or Relation/Table. 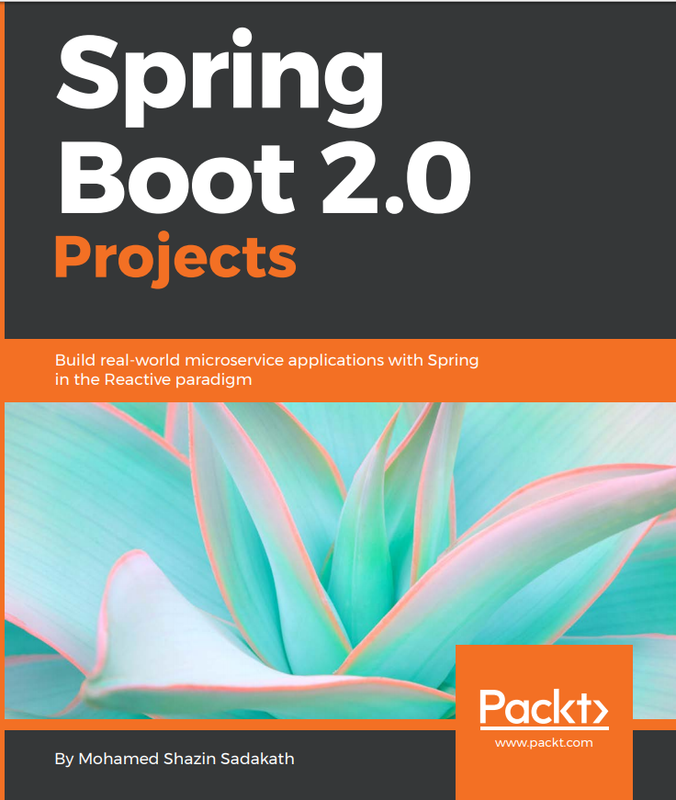 Redis has built-in data structures and algorithms to solve frequently faced design issues. Redis has Key/Value, Lists, Hashes (Maps), Set and Sorted Set data structures. You just need to download Redis. Optionally Issue "make test" to verify everything is working fine. Issue "chmod +x redis-server" and "chmod +x redis-cli"